I'm looking to get up to Oceanside from San Diego on Saturday... and have found a fun looking way. Is Questhaven Road open to cyclists? I know its dirt in places but that isn't an issue. Also curious about access in the Coronado Hills area. Looks like I found my answers... through Strava segments... cool! They are open. Just went thru there yesterday. It's quite lovely! 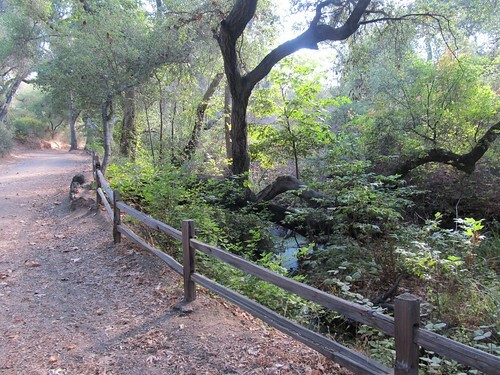 :oD From Harmony Grove end, it's paved for a little while then disintegrates into well graded fine gravel, then turns into a nature trail for bikes, hikers and horses. 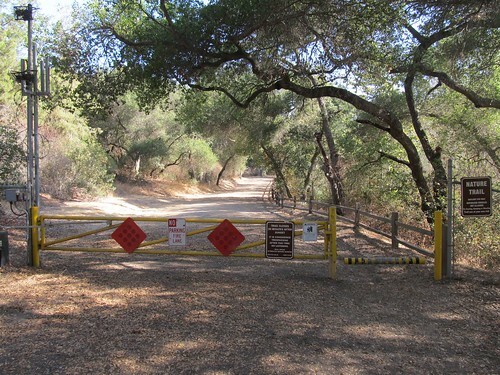 The nature trail is gated at both ends. No car or motorcyles. 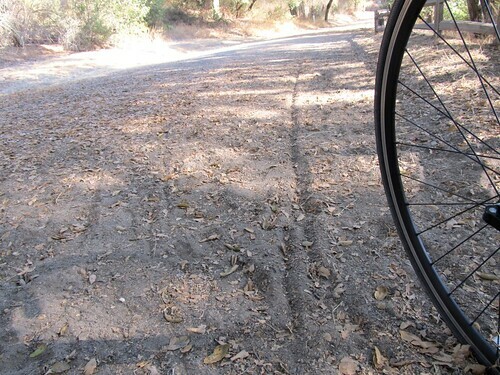 Much of the nature trail is firm enough for 25mm road tires (the dirt is covered in leaves), but there are a couple of short spots where it is too loose. What a beautiful place to ride through, though! Loved it! Didn't see any ghost or stallion-riding witch. :o) Trail ends at Questhaven Retreat, then it's paved road all the way west. Though I did see a deer from just 10 yds away by the side of the paved road going uphill toward San Elijo. Alas, wasn't quick enough to snap a foto since she sprang right off.